On 29 March 2017 WHO launched a global initiative to reduce severe, avoidable medication-associated harm in all countries by 50% over the next 5 years. This so-called “Medication Without Harm” is the 3rd WHO Global Patient Safety Challenge on Medication Safety and involves several IMSN members. The Global Patient Safety Challenge on Medication Safety aims to address the weaknesses in health systems that lead to medication errors and the severe harm that result. It lays out ways to improve the way medicines are prescribed, distributed and consumed, and increase awareness among patients about the risks associated with the improper use of medication. Medication errors cause at least one death every day and injure approximately 1.3 million people annually in the United States of America alone. While low- and middle-income countries are estimated to have similar rates of medication-related adverse events to high-income countries, the impact is about twice as much in terms of the number of years of healthy life lost. Many countries lack good data, which will be gathered as part of the initiative. Globally, the cost associated with medication errors has been estimated at US$ 42 billion annually or almost 1% of total global health expenditure. 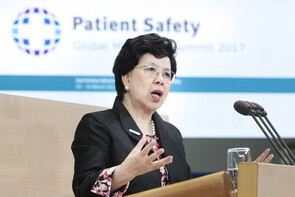 "We all expect to be helped, not harmed, when we take medication," said Dr Margaret Chan, WHO Director-General. "Apart from the human cost, medication errors place an enormous and unnecessary strain on health budgets. Preventing errors saves money and saves lives." Every person around the world will at some point in their life take medicines to prevent or treat illness. However, medicines do sometimes cause serious harm if taken incorrectly, monitored insufficiently or as the result of an error, accident or communication problems. Both health workers and patients can make mistakes that result in severe harm, such as ordering, prescribing, dispensing, preparing, administering or consuming the wrong medication or the wrong dose at the wrong time. But all medication errors are potentially avoidable. Preventing errors and the harm that results requires putting systems and procedures in place to ensure the right patient receives the right medication at the right dose via the right route at the right time. Medication errors can be caused by health worker fatigue, overcrowding, staff shortages, poor training and the wrong information being given to patients, among other reasons. Any one of these, or a combination, can affect the prescribing, dispensing, consumption, and monitoring of medications, which can result in severe harm, disability and even death. Most harm arises from systems failures in the way care is organized and coordinated, especially when multiple health providers are involved in a patient’s care. An organizational culture that routinely implements best practices and that avoids blame when mistakes are made is the best environment for safe care. The Challenge calls on countries to take early priority action to address these key factors: including medicines with a high risk of harm if used improperly; patients who take multiple medications for different diseases and conditions; and patients going through transitions of care, in order to reduce medication errors and harm to patients. The actions planned in the Challenge will be focused on four areas: patients and the public; health care professionals; medicines as products; and systems and practices of medication. The Challenge aims to make improvements in each stage of the medication use process including prescribing, dispensing, administering, monitoring and use. WHO aims to provide guidance and develop strategies, plans and tools to ensure that the medication process has the safety of patients at its core, in all health care facilities. "Over the years, I have spoken to many people who have lost loved ones to medication-related errors," said Sir Liam Donaldson, WHO Envoy for Patient Safety. "Their stories, their quiet dignity and their acceptance of situations that should never have arisen have moved me deeply. It is to the memories of all those who have died due to incidents of unsafe care that this Challenge should be dedicated." Find out more on the World Health Organization website. This entry was posted in Uncategorized on March 30, 2017 by Étienne Schmitt. The International Medication Safety Network (IMSN) recognizes the unsafe naming, labeling and packaging of medicines as an ongoing, often unrecognized worldwide threat to patient safety that requires a collaborative approach. At a recent conference, IMSN called for greater action to standardize safe medication practices and improve medication safety internationally. Medication errors affect millions of patients around the world, sometimes leading to death or serious harm. But in many instances, more attention needs to be paid to medication errors by regulatory authorities and industry, and the importance of human factors principles in the selection and design of medicine names, labels, and packaging is being overlooked. For example, not all regulators require companies to include bar codes on medication labels, which is essential for use of safety technologies at the bedside, in the operating room, or in the pharmacy. Too often, the issue of errors is being addressed in individual countries, but not on a global scale. 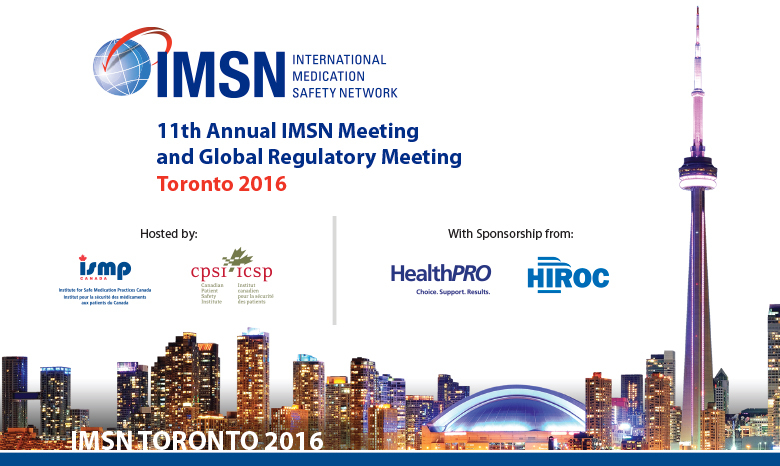 At the IMSN Global Regulatory Meeting: Designing Medication Safety at the Global Level held in Toronto, Canada on October 24, 2016, delegates from 17 member countries shared their views and concerns with invited regulators on factors that contribute to medication errors at a global level. The main regulators involved in this field, such as the US Food and Drug Administration (FDA), Health Canada, the European Medicine Agency (EMA), and the Medicines & Healthcare Products Regulatory Agency (MHRA), were joined by the World Health Organization (WHO) Patient Safety program. A separate session was held with major IV solution and technology companies on October 25, 2016, including Aguettant, Baxter Healthcare, B. Braun, BD/Carefusion, Hospira/Pfizer, Grifols, and Fresenius Kabi. Recognition of the expertise needed for analysis (including an assessment for contributing factors in preventable adverse drug reactions) and prevention of medication errors, whether by promoting the role of medication safety officers or by encouraging premarket assessment of medicines and associated devices by manufacturers. Participants agreed that effective bidirectional cooperation between safe practice centers, patient safety organizations and the pharmacovigilance community is needed. In order to achieve a reduction of harm related to medication errors, harmonization at the global level also is necessary. 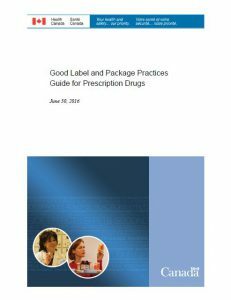 The IMSN is committed to this harmonization of safe medication practices as they impact packaging and package labeling. Therefore, the IMSN is calling for a follow-up summit with regulatory authorities in order to establish minimum requirements and an action plan for medication safety worldwide. Beyond product improvement, the IMSN supports the World Health Organization’s Global Patient Safety Challenge on Medication Safety, through the participation of several IMSN members. 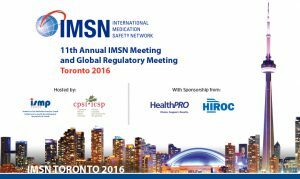 IMSN members are contributing to the WHO initiative to tackle obstacles and propose solutions to improve the safety of medication practices. This entry was posted in Uncategorized on November 23, 2016 by Étienne Schmitt.